Caravanistas from the 26th Friendshipment Caravan will share their experience from this year’s trip. 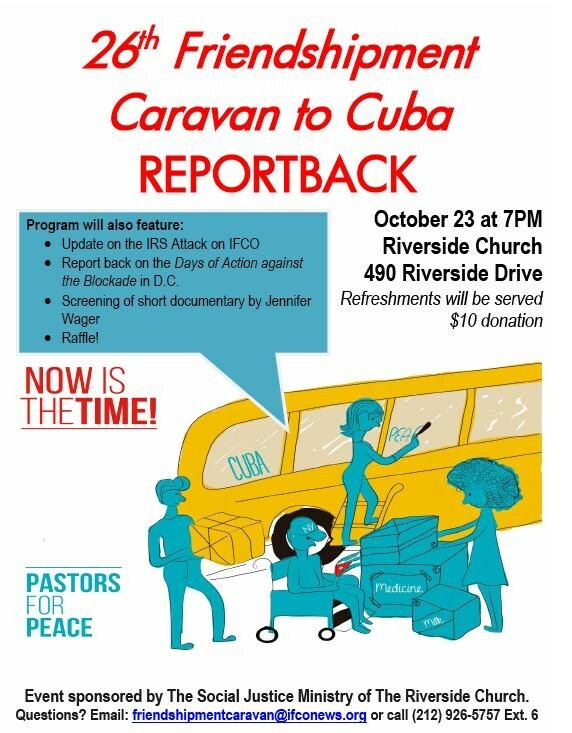 • Report back on the Days of Action against the Blockade in D.C. This event is sponsored by The Social Justice Ministry of The Riverside Church.